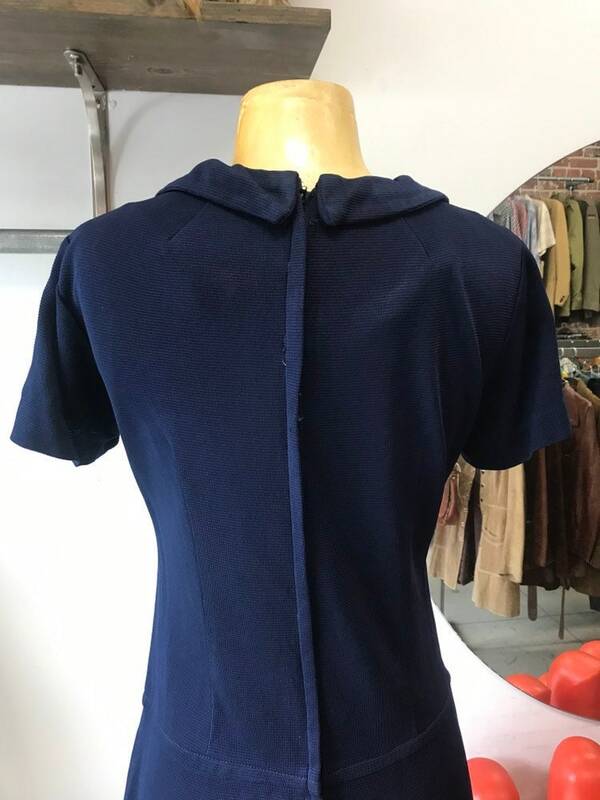 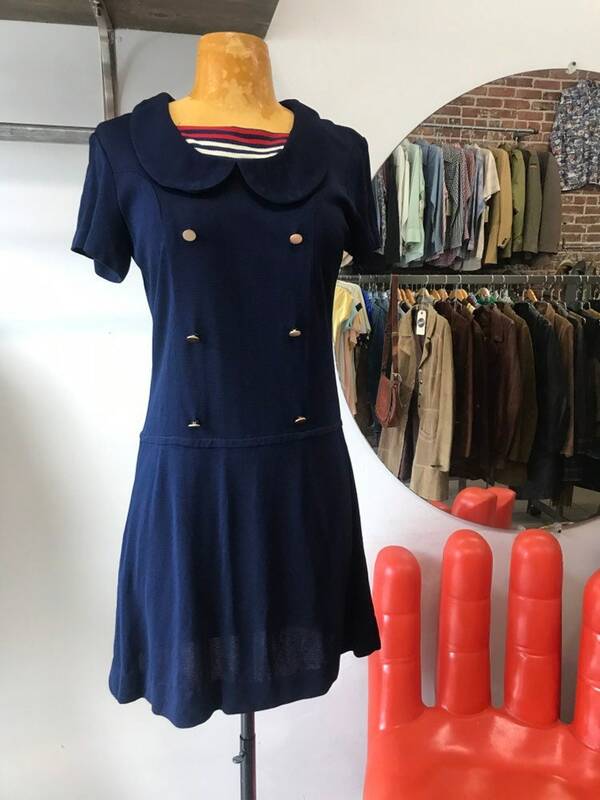 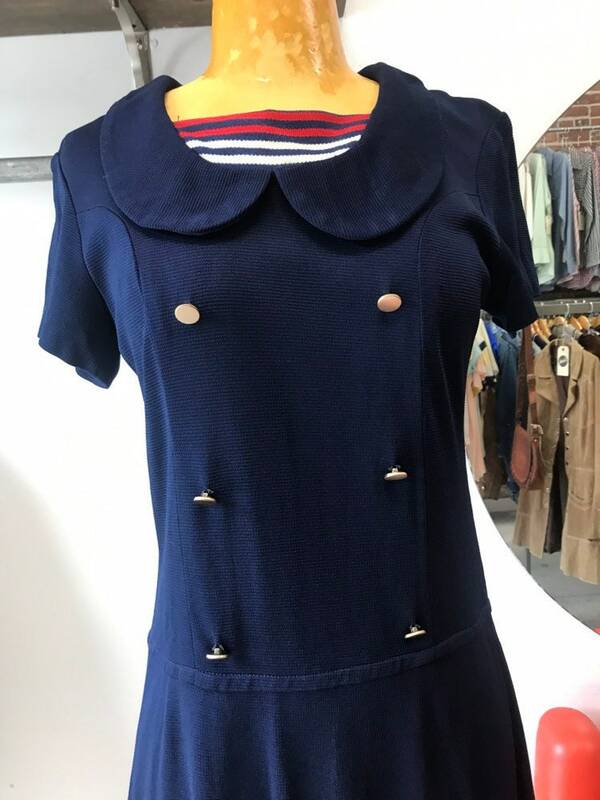 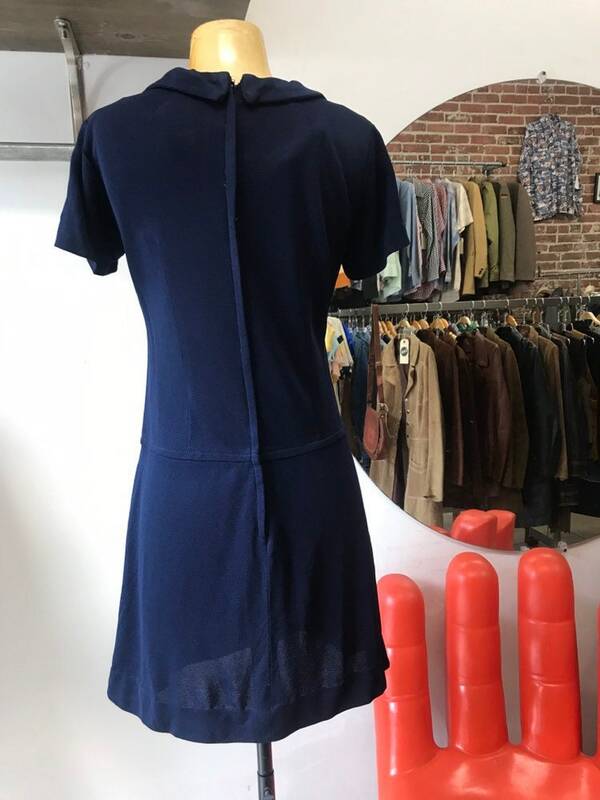 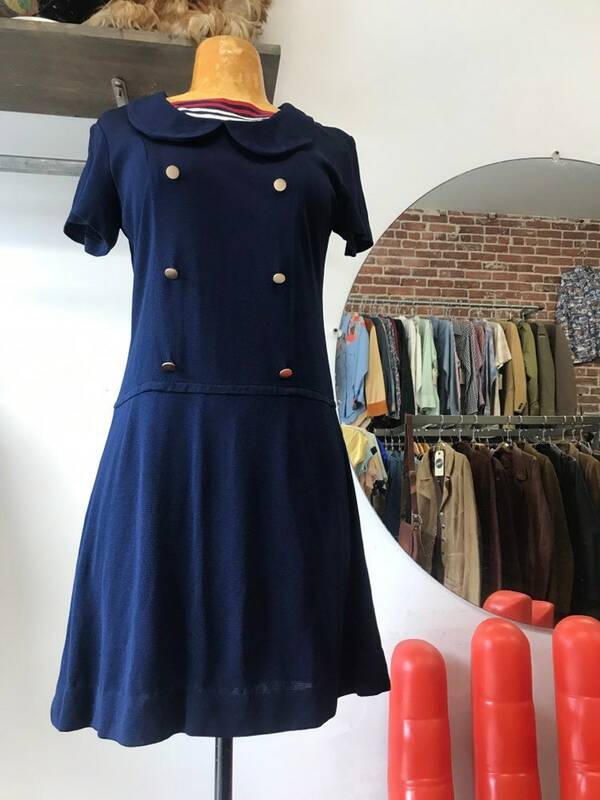 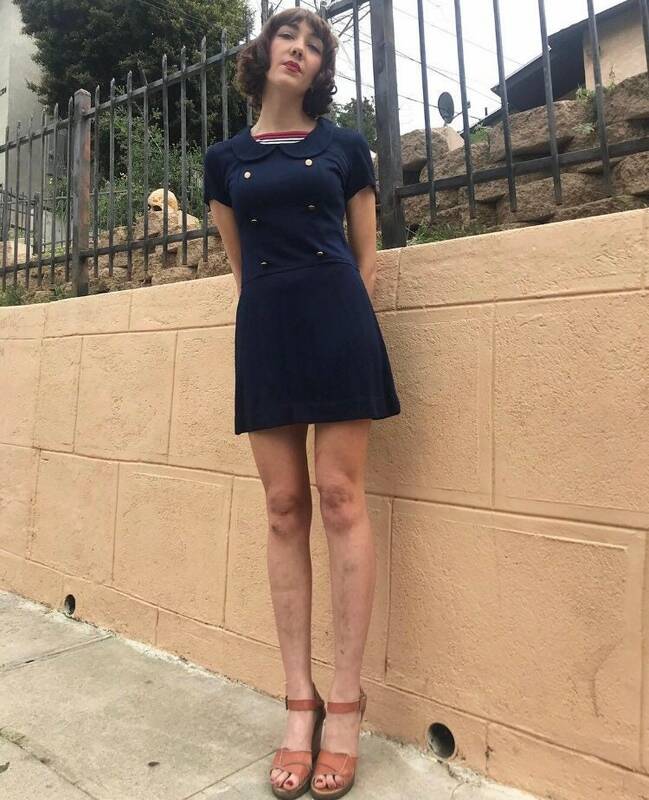 Fantastic seventies mod navy blue nautical dress. 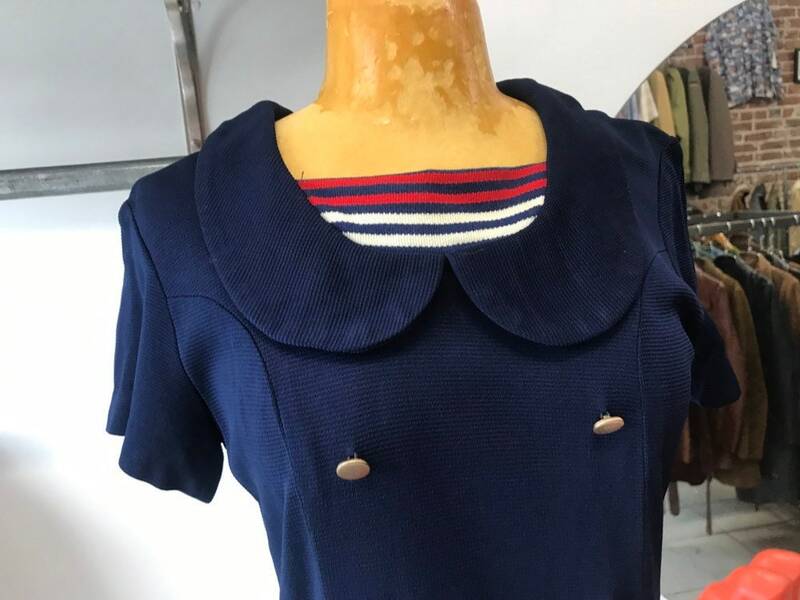 Cotton red and white stripes at the neckline. 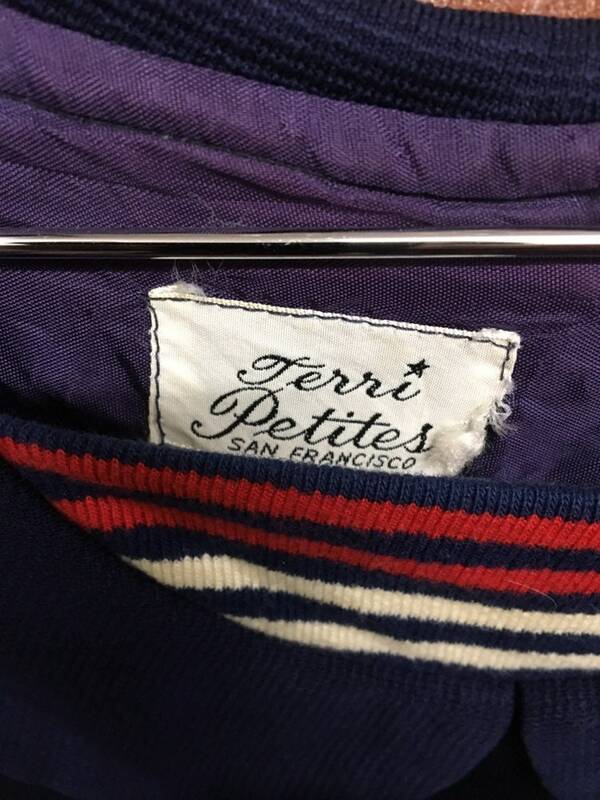 By Terri Petites San Francisco.